Amazing 5,500 Sq. feet waterfront home in Gibsons on one acre of forested property. Enjoy gorgeous unobstructed views of the North Shore mountains. You can enjoy these views from the 5 man hot tub situated on a very quiet and peaceful deck. This property has 7 bedrooms and 3 1/2 bathrooms, including a very luxurious master bathroom with a double soaker tub looking out towards the scenic West Coast vista. There is a basement suite with a pool table & foosball table. The basement bathroom has a large steam shower. There are stairs from the backyard that lead down to one of the nicest beaches on the Sunshine Coast. * This property is under new ownership, all of the reviews could not be transferred because new listing was created. This listing has been on VRBO for multiple years. My name is Sarah Alexander, I am the vacation rental manager for this property. I live in Gibsons and I am always happy to help. Please let me know if you have any concierge related questions such as activities in the area, fun tours for your family, the best restaurants on the Sunshine Coast or any other questions you may have. This is one of the most scenic views on the Sunshine Coast. 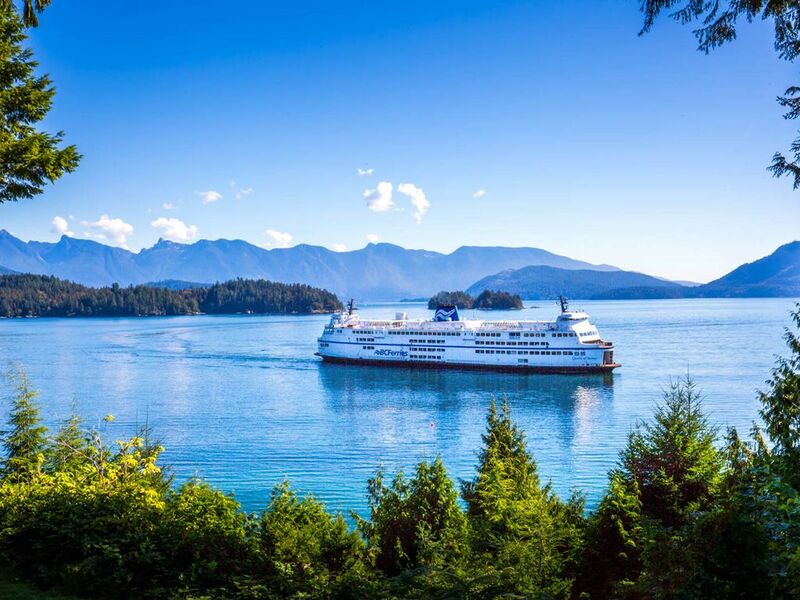 You can't beat the views of the north shore mountains, Gambier & Keats Islands and the ocean! This property is large enough to accommodate 15 people. It has 7 beds and 3 1/2 bathrooms. Outdoor shower, beside the hot tub. Unfortunately the gym in the video is not available for guest use. We were looking forward to our family holiday and to our visit to Gibsons. The home delivered as well as the location. With 8 adults and 2 toddlers under 2 years of age the home was perfect. It was large enough with accommodations for all and all the amenities were available as advertised. Having the hot tub when the weather was cooler than anticipated was truly a bonus. There really was not anything lacking for our stay. A little hiccup with TV access but it was figured out quickly so we could enjoy the World Cup games. Sarah was terrific as a host. Very welcoming and accommodating to our requests. She responded immediately to any questions we had. Thanks Sarah. Overall a five star review and we will return in the future. The house is everything you could ask for. The views are outstanding. The beach is typical coastal with rock formations and beautiful driftwood. We were a family of thirteen and everyone had their own space to do as they pleased. The house is well equipped. Meals were easy to prepare with all the equipment that is in the kitchen. Sarah, the property manager was a great resource for anything we needed. She knows the area well. She is young, charming and extremely helpful. The stay was very pleasant. The moon at night reflecting off the ocean was such a beautiful scene. Also, Sarah was a very gracious host to make our stay very warm and comfortable. Right by the ferry terminal. Only a few minutes to Downtown Gibsons. Private beach. As standard procedure there is a damage deposit of 50% of your total stay held on your credit card upon check in. It is released upon check out.